We know, we know. The term “cloud” has been used so much it’s starting to lose its meaning. But consider Autodesk 360, a true cloud-based program that connects people across the globe with data and projects through a powerful and secure new set of tools. Now, this is what the cloud is all about. Our goal was to educate users on how the platform is “making the impossible possible.” We showed how Autodesk is making it easier for users to do their job, streamline workflows and become faster and more efficient. Through an engaging parallax design, our team created a narrative of why the platform inspires users to innovate with the goal of increased sign-ups. When it comes to the Autodesk brand, we are subject matter experts. Autodesk wanted an engaging user experience that inspired users to take action. 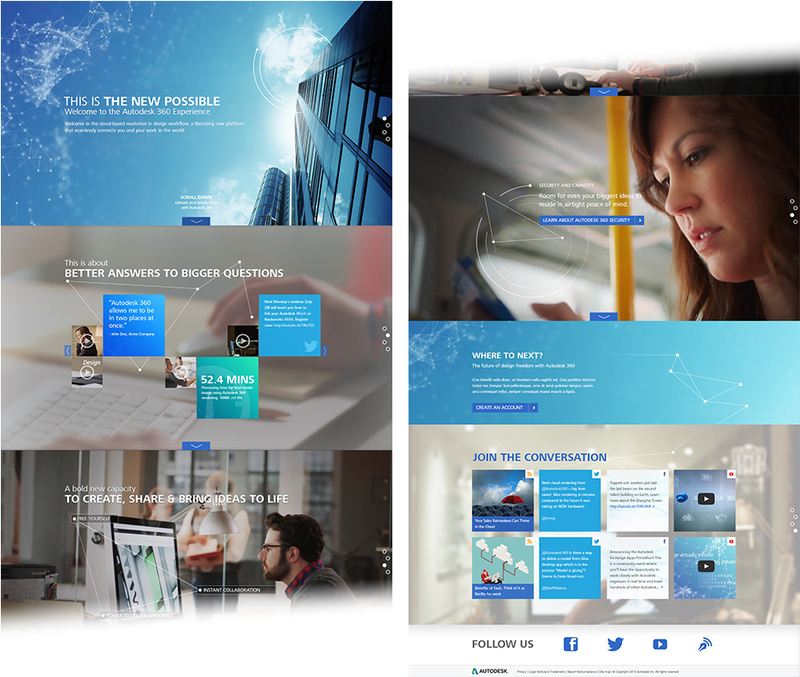 Noble Studios worked closely with the Autodesk team to develop an ever-changing website housing various types of knowledge base content – infographics, photorealistic images, videos and storytelling copy – giving users a better understanding of 360. Noble Studios created an interactive infographic from static content provided by Autodesk. The experience focused on historical events where a design failed due to poor planning. Details of the failure were presented alongside the Autodesk program could have helped surface the project’s design flaws. 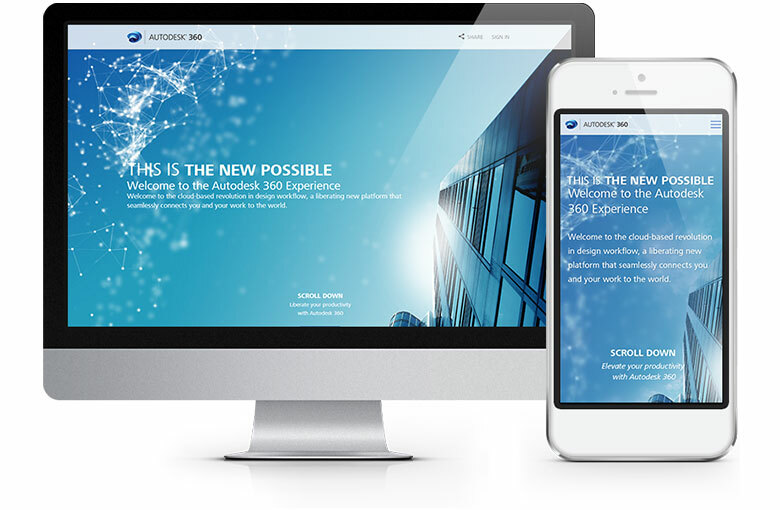 Fully responsive, the site displays seamlessly across desktop, tablets and mobile devices allowing users to gain access to the innovative resources they need from any device. Now, when someone asks, “what’s this cloud app all about,” Autodesk has a clear answer at the ready.